Following is a story of how Jann Baptist Basgall would have lived his life based on Historical Accounts and small clues left behind by Jann and others that settled in the Volga River Region of Russia. Jann Baptist Basgall was a Frenchmen before going to Russia and this story provides the historical context in which his journey would have taken him to Russia. Jann Baptist Pasqual was born around 1733. At the time King Louis XV 1710-1774 was on the throne of France. 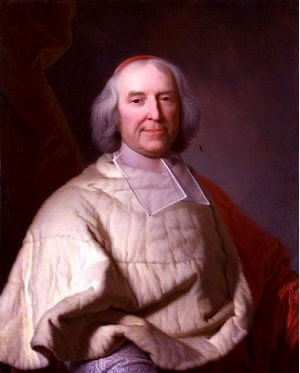 Power was in the hands of Cardinal de Fleury 1726-1743. The rule of Cardinal de Fleury generated a relative peace and calm in the region. Jann Pasqual was a young child during the last stage of the “Thirty Years of Peace” 1713-1744 for France. By some, it was considered a time of “Recovery” for France. During Jann’s childhood King Louis XV was referred to as “The Beloved”. France was laying claim to regions around the world like North America and India. Stories of travel to places like the Americas were being told by returning service men around quiet fireplaces. One of the story tellers could have been his father. The French Navy’s power was at a peak and as a country France was considered the strongest global power of the world, a claim that would not last much longer. As a child Jann would have been a peasant likely raised by his mother. His father could have been working as a forced laborer on a farm, rebuilding roads or called to serve his country in distant lands. Times would be difficult as a peasant child. He would have lived in a small one room dwelling that may have been home to other families as well. He would play in clothes that were tattered and torn and ran without shoes whenever possible. Basics like food, shelter and warmth were not always available. Plagues were common and education among peasants was nonexistent. Play time would have been short, at around 12 he would start to work in the fields with other peasants as forced labor. The events that would later direct Jann Baptist Pasqual’s life were starting to develop. He managed to avoid the affects of war as a child but they were about to takeover his life. The “War of the Austrian Succession” 1740-1748 would set the stage that guided Jann Pasqual’s destiny. Austria and Prussia went to war when Prussia claimed that Maria Theresa of Austria could not succeed the Habsburg Throne as a woman. A little region called Silesia in what today is the south of Poland would become the center of his world. 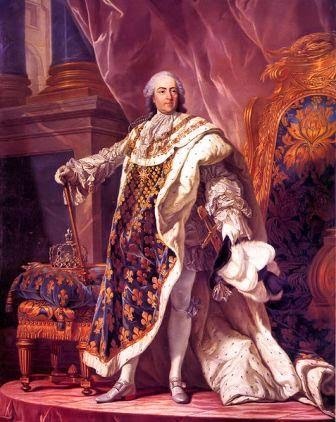 King Louis XV of France did not follow Cardinal de Fleury’s recommendation to stay neutral and supported Prussia against the forces of Austria backed by Great Britain. This was in part to shift Austria’s threat from the French border to the border of Prussia. At this King Louis XV was successful but in the end it set the stage for a future dominating power developing in the way of Prussia. The war concluded with the Treaty of Aix-la-Chapella (1748). France gained little to nothing from the war. Prussia maintained the small region of Silesia, the area that would later become a battle ground and for a short time home to Jann Baptist Pasqual. Great Britain started to emerge as a threat to France. The Treaty of Aix-la-Chapella would have protected the teenage Jann for now but would not stand for long as another war was quickly brewing over Silesia. We don’t know exactly when Jann Baptist Pasqual would have been called for service in the French Military, but the “The Seven Years’ War” (1756-1763) would have surely caused it to happen. Even though war in Europe was quieted by the Treaty of Aix-la-Chapella, France and Great Britain had conflicts starting across the globe: India (1748), America’s (1755) and the Mediterranean (1756). In 1756 Great Britain declares war on France and builds alliances with Prussia. Word got out that Austria was negotiating with Russia to take back the small region of Silesia from Prussia. Frederick II of Prussia puts into motion a plan to counteract Austria’s move and Jann Baptist Pasqual is called to war in the central region of Europe around Silesia. 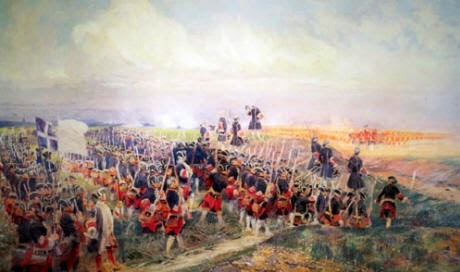 In 1756 Prussian soldiers march into Saxony and “The Seven Years’ War” is underway. Saxony is totally unprepared and falls quickly to Prussia. Austria is also ill-prepared and must gear up for war. With Prussia marching across Europe toward France they find themselves working with Austria to push back the very country they helped empower only 8 years earlier. With the French Military spread thinly across the globe a young peasant of only 23 years like Jann Baptist Pasqual would find himself quickly engulfed in the conflicts of war. “The Seven Years’ War” went poorly for France. Jann Baptist Pasqual would find himself in bloody hand to hand combat. The battles would have started with follies of cannon rounds fired into the ranks of Jann Pasqual and his comrades. Regiments of foot solders would have fired onto each other as they stood in rigid formation. Comrades would have fallen at his side as the smoke and smell of war filled the air. 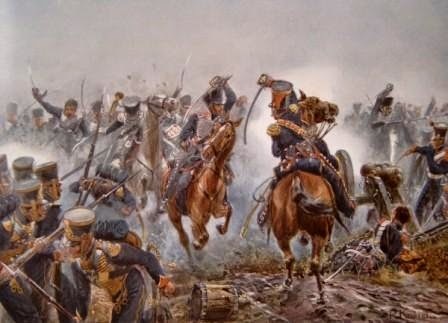 Horsemen like the British Dragoons would have been riding through the ranks of foot solders like Jann Pasqual slashing away at everything as they went by. The final round of conflict would have been foot solder’s fighting with bayonets in close hand to hand combat. Lost limbs would be common and medical treatment was sparse. Living conditions during the winter months were unbearable and Jann Pasqual buried many of his fellow comrades. If he was one of the unfortunate captured during the conflict things were even worse for Jann. Many of the captured would have been placed into the Persian Military and moved to the Russian front and forced to continue fighting. By the end of the war Jann Baptist Pasqual was around 29 years old, aged beyond his years by war. The Battle of Wilhelmstahl 24 June 1762 ended major conflict and the Treaty of Paris 10 February 1763 officially ended “The Seven Years War”. France was beaten and no longer consider the dominate world power. As a country it was broke with its military in a shambles around the globe and especially in the region of Central Europe. Jann Baptist Pasqual found himself abandoned by his mother country and left stranded in Central Europe. Without a wife in France there was no reason for this broken young man to follow the defeated, wounded, and dying ranks of French solders as they journeyed home. After the war Jann Baptist Pasqual was a broken solder without property or country in Central Europe along the boarder of Silesia. A few French Comrades left behind from war and other German Peasants still standing are the only people in his life. Most of his time is spent healing from both physical and mental wounds of war. To survive he took on a simple trade like “Hat Maker”. His heart shattered from years of war would yearn to be awakened again. Jann Pasqual dreamed of a quiet peaceful place like the hillsides of France where he grew up. However, those hills were beginning to boil over by the bad morale of returning solders. The talk of treason was abounding and going back to France was not the choice he was going to take since another war “The French Revolution” was about to begin. In the fog of the morning Russian horsemen wearing traditional black knee high boots, long gray coats and tall Black Cossack fur hats came to a small village Jann Baptist Pasqual had settled in near Silesia (Mielec, Poland). With his tall white stallion prancing around the horsemen reads a manifesto issued by the Empress Catherine the Great of Russia. On July 22, 1763 she issued this second manifesto inviting foreigners to settle in Russia. This manifesto was different from the first manifesto in that it not only offered property, freedom of religion, relocation and provisions it stated the emigrants and their children would not be obligated to serve in the military for 100 years. No other promise would have been more important to Jann Baptist Pasqual. Protecting himself and his future family from war would be a dream come true. The word of this manifesto would not have gotten to Jann Baptist Pasqual until sometime in 1764 or 1765. With his heart awakening again by the opportunity to live a peaceful life, own some property and begin a family Jann Baptist Pasqual started the greatest journey of his young life. 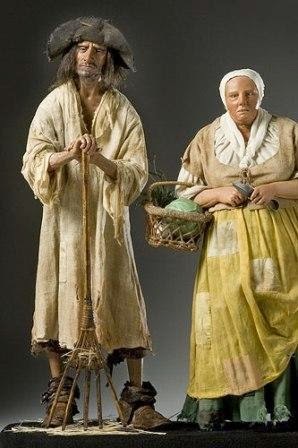 On an evening in the late spring or early summer of 1765 Jann Baptist Pasqual an a few French Comrades would be scrambling to pack their few belongings as they prepared for their long journey north through Europe. They said their good byes to a few German Peasants that gave them a home and helped them rebuild their souls after a long fought war. The night would have been restless as he dreaming of his future home and most of all, a Russian maiden he would meet at the end of his journey. In the morning those that were leaving walked or rode to a central meeting place assigned to them. There they meet the Russian Recruiters and others that were headed to a new world. After a short time the group would start their ground trip north to a port on the Baltic Sea. The trip to Russia was long and hard with many perils along the way. Shelter was sparse and the Recruiters would have provided minimal rations. The German families leaving their homeland would have it even more difficult, they were pulling belongings in carts, carrying children, helping older parents and traveling as a family. Some of the very young and very old perished along the way. Jann Baptist Pasqual was traveling alone with only the belongings that would fit into a backpack. Once at the Baltic Port they would again wait for other groups as they prepared to board a sailing ship to carry them on. vessel as they traveled from side to side. Sea sickness as well as home sickness and the fear of what was to come would make it a somber time. Young and old would have sat and dreamed on the ships decks of the new home they were bound for. The ship would sail for over a week before entering the Gulf of Finland. It would have seemed like an endless journey. 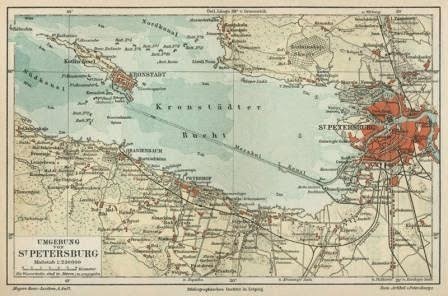 Once there they would have seen the light house on the shores of Kotlin Island and the mighty “Fortress of Kronstadt” with large Russian Navy fighting ships floating around the harbor as well as many merchant ships. During the warmer months this would be one of the busiest harbors in Russia as it protects and supplies the gates of St. Petersburg, the summer home of Catherine the Great and the mighty country of Russia itself. Jann’s stay at “The Fortress of Kronstadt” would have been short. From here immigrants would travel in large groups to Oranienbaum just outside of St. Petersburg. They would see the summer Palace of Catherine the Great. They would travel through the giant front gate of the Royal Palace Grounds where the new colonists would be greeted by Catherine herself. As she was actually of German Heritage she would greet them in her native German language which would have been very reassuring to the new German Colonists. They swore an oath of their allegiance to their new mother land of Russia. Officially they arrived to Russia but the journey was far from over. It would be here in Oranienbaum that the Basgal family tree would start. For it was here that Jann Baptist Pasqual registered to become a Russian citizen and his name after a confusing translation between French, German and Russian was documented as Jann Baptist Basgal, Hat Maker from Mielec. Once his documentation was complete Jann would be giving provisions and assigned temporary quarters with Russian Peasants. His assignment to the French Colony of Franzosen in the Volga River Region of Russia would soon be made. He and the few other French Comrades that made the trip would rest, recover and wait for the trip ahead. It was here that Jann Basgall’s heart would truly be awakened again. With his French Comrades he would continue as Jann Baptist Pasqual but officially he would have became Jann Baptist Basgall. The name his children would all carry. Countryside, the war and his long travels. He would be at peace in these simple but welcome quarters during the long cold St. Petersburg winter. Jann Baptist Basgall’s romantic French accent would have caught the ear of a young Russian maiden. She was only 18 years old when Jann Basgall 32 years of age came to them. Stephanida Ivanova would have listened intently as the older, well traveled Jann Baptist Basgall told his stories. She would have dreamed of traveling with Jann Basgall to a new home and starting a family. She would have waiting on him hand and foot just to get the opportunity to be around him. Jann Basgall’s heart would have finally found what he had been longing for. With only a gentle touch between them their Love would bond them together for the journey to come. 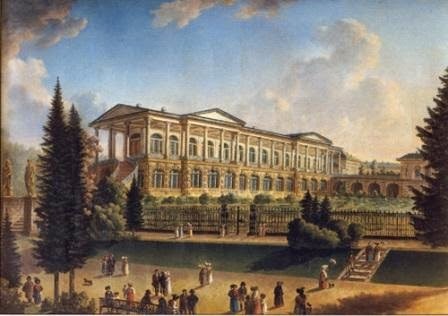 It would be here, near Oranienbaum, close to the Palace of Catherine the Great that Jann Baptist Basgall and Stephanida Ivanova would form their union. From this union came their first child, a boy they named Didache in honor of the “Teachings of the 12 Apostles” that brought them together around a peaceful fireplace that sparked their romance. In the Spring of 1766 the couple with infant would begin their trip across Russia to their new home in Franzosen. They would travel by ship inland as far as possible and then would travel with wagons. For Stephanida at only 19 years old with a newborn to care for the trip would have been exhausting. For most of the land journey the men would have walked along side the wagons keeping a close eye on there loved ones. Even with the long weary days these would be very good times for Stephanida and Jann as the dream of a new life, a baby and someone to share it with would give them the energy to continue. Their excitement would peak when they could see the golden dome of the Old Cathedral in Saratov on the Volga River, for now they were very close to their destination. Franzosen Colony was established on July 28, 1765 by Baron Deboffe as a French Colony. 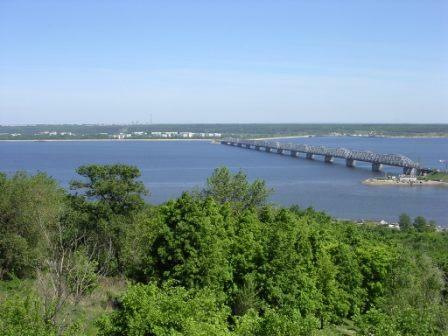 It is on the hilly side of the Volga River Valley and higher up than most of the other colonies. It would remind the French Settlers of their homeland. Jann Baptist Basgall and Stepanida Ivanova would not arrive until August 26, 1766. Romancing a new bride and caring for their infant son Didache born in 1766 would slow them down. Jann and Stepanida would have it better than the first settlers arriving at Franzosen since when they arrived they had to live in dug outs and start without anything. Jann and Stepanida would come to a community of 30 families and may even have been invited to stay with an old French acquaintance or war comrade until their home was constructed. Shortly after they arriving Jann and Stepanida’s first born son Didache died. It was very common for infants to die but the experience would be heartbreaking for the young couple. Settling in at Franzosen would be very difficult for the young couple. The land was rocky and considered some of the poorest farmland in the area. Many of the things they would need were not present and even wood for building and fires would be difficult to find. A lot of the winter heat would come from the dud of livestock. Most of what they survived on came from small gardens along the Rossoshi Brook and the little livestock they had. The livestock would include chickens, ducks, geese, goats and maybe a couple of cows, if they were lucky. What farm land they had was worked by plow to raise rye and oats that would be sold in Saratov or stored in local bins and processed in a colony mill. 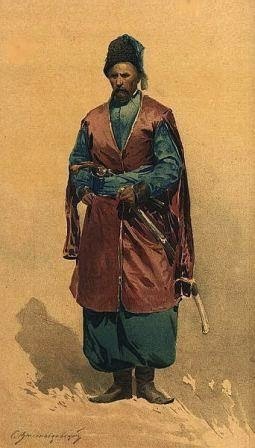 Jann and other colony men would have long discussions on the price of grain in Saratov and how to dispose of the gophers that ravaged their crops. Flooding the holes seemed to be the only solution to the gopher problem. Once settled in Franzosen it didn't take long for the couple to restart the family. They would have been heart broken from the loss of their first son Didache, but Peter was born in 1768 and they would be on their way. Stepanida would have their only daughter Anna in 1771. There is no doubt, being the only girl in a family with 4 boys would bring her very close to mom. The two would prepare meals, clean the house and care for the vegetable gardens as the young men would grow and help dad in the fields and tend the larger livestock. You can bet there was more than one family argument around who does what chores. After Anna another son Johannes was born in 1773. These three kids would consume their lives for the next 10 years. They would bring lasting joy to Stepanida and Jann with their playful energy as they grew up. Anna being the only girl and so close to mom would definitely win dad over to her side leaving her brothers complaining on the way out the door. It also would be the first opportunity for education for the family as the kids would go off to a schoolmaster’s house to learn reading, writing and religion under the supervision of a local priest. Lorenz was born in 1782 and the last son Anton was born in 1783, kind of like starting a second family. However, what the census data records don't show are the difficult times before Lorenz was born. During this period there most likely would have been 2 to 4 additional children lost during infancy between 1774 and 1781. In those days it was common to have a child every 2 years, but most families lost multiple infants. Lorenz and Anton would have been very special having come after the disappointing years when the family would suffer the loss of so many infant children. They also would have caused the family to add a ramshackle wooden extension onto the small stone structure they call home. You can just imagine how much trouble the two little ones would get into with the work falling onto their older siblings. The Rossoshi Brook going through the colony would have been their favorite place for adventure. Their adventures would come from the stories Jann told at the end of a hard day around a quiet fireplace of his childhood days in France, war in Germany & Poland, travels to Russia on the Baltic Sea, Catherine the Great’s Summer Palace near St Petersburg and natural how he won Stephanida's heart. It is difficult to write the final chapter for Stepanida and Jann because there is so little to work with. However, the census of 1798 gives us a little insight of their final years. In 1798 Jann 65 and Stepanida 49 are in their small home with sons Lorenz age 16 and Anton age 15. The boys are able to provide the much needed help for their father in the fields and with the livestock while dreaming of their own journeys to come. Anna their daughter married Johann Peter Weingard when she was only 18, just as her mother married Jann. She was the first to leave the household but stayed close to home in Franzosen. They have 4 children in 1798 one of which would be the first grandchildren to Stepanida and Jann. Since Johann and Anna stayed in Franzosen they would be frequent guests in Jann and Stepanida’s home. The oldest is granddaughter Maria Eva 8 and grandson Johann Peter 7. The younger kids are granddaughter Katharina 3 and infant grandson Johann just 6 months old. It appears that the grandson’s full name is Johann Baptist Weingard but it is difficult to interpret the old census document. The grand old storyteller would have a full house of grand-kids as he repeated his stories that once caught the ear of a young Russian Maiden. Stepanida would reminisce with daughter Anna in the background of how Jann came to her home as a broken soldier and shared the same stories with her family when she was only 18. By now the grand palace of Catherine the Great would have doubled in size as the grandkids intently listened to the old bearded storyteller himself. How wonderful it would be to hear Jann Baptist Pasqual tell his amazing life story around the old fireplace in this Volga River Valley. At bedtime Stepanida and Jann would talk about the older boys that moved onto other colonies. Son Peter is in Husaren with wife Maria Ditt / Dietz and the two granddaughters Cunigunde 4 and Elizabeth 1. He traveled to Husaren about the time he married Maria in 1793. Husaren is just south of Franzosen about 3 miles along the creek bed. It would be an easy walk for the family to get back for Sunday visits and family gatherings. Johannes moved to Rothammel in about 1795 when he married Christina Storck. In 1798 they had two boys Johann 3 and Heinrich 1. This would be the start of what would grow into a very big Basgall presence in this small colony of Rothammel. Rothammel is about 10 miles to the east and north of Franzosen. The path between would take you over the top of the plains to a point that overlooked the Franzosen valley that and the adjacent valley where Rothammel was located. Unlike Peter, Johannes would have a much longer trip to bring the family back to Franzosen. Family gatherings at holidays would be quiet the ordeal when Stepanida and Jann would have the three families together with the 3 adult children their spouses, 2 younger children and 8 grandchildren included the 2 infants. No doubt these would be the best of times for Jann and Stepanida. There are about 20 grandkids listed in the family tree for Stepanida and Jann. I suspect we are missing about 10 to 20 more based on the small size Maria’s and Peter’s family. In those days everyone had 8 to 12 kids. We don’t know which grandkids actually had the opportunity to sit on the knee of the old bearded storyteller Jann Baptist Pasqual but it would have been a real treat. Hopefully, some day we can complete the last chapter of his grand life. We also need to complete the families of Anna, Peter, and Anton. Determine what happened to Lorenz and most of all when and where did Stepanida and Jann pass away? You would think with her younger age Stepanida would of eventually moved in with one of the kids, but which one. Most of all, did the old bearded story teller get a chance to share his tale with any of the great grand-kids? We will be looking for early church records and census documents for Franzosen, Rothammel, Brabander, Husaren, Seelmann and other colonies. So would come 100 years in Russia. After 3 generations another journey would lead this group to the United States to avoid loosing their young men to war. Come back has we add the Immigration Years to Jann Baptist Pasqual (Basgall) Legacy. If you have information that helps write this story or other Basgall stories please contact us with a comment, or just comment to tell us what you think of the John Baptist Pasqual Basgall Legacy.